Saturday, April 20th 2019 @ 11am. THere will be 4 different age groups. 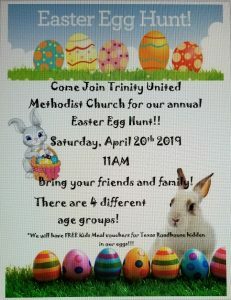 *We will have FREE Kids Meal vouchers for Texas Roadhouse hidden in our eggs!